Inaugural WSOP-Europe Main Event Goes to Annette Obrestad — Norway's young online-poker phenom, Annette 'Annette_15' Obrestad, wasn't even old enough to play in the traditional Las Vegas World Series of Poker when she entered the WSOP-Europe Main Event in September. That didn't stop the 19-year-old from tearing through a field of 392 prominent and experienced brick-and-mortar players on her way to a historical triumph. Obrestad's triumph made her, by two years, the youngest player to win a World Series of Poker bracelet of any form. Obrestad took home &pound;1,000,000 as the newly crowned champion. John Tabatabai finished second (&pound;570,150), while Matthew McCullough claimed third (&pound;381,910). Mouawad Takes EPT London — Lebanon's Joseph Mouawad captured his first major title in Septeber by winning the PokerStars.net European Poker Tour stop in London. Mouawad began the final table in second position behind young German star Florian Langmann at a table with other prominent European players such as Anthony Lellouche, Fredrik Haugen, Paul Mendes and Marcel Baran. Mouawad outmanuevered them all, surviving a fast-paced final table before finishing off Langmann, his final challenger. Mouawad won &pound;611,520, while Langmann, the runner-up, collected &pound;346,528. Jordan Morgan Captures Tunica Circuit Gold — Players not traveling to London for the WSOP-E festivities still had plenty of other poker options in September, including a popular WSOP Circuit stop in Tunica, Mississippi. The September Tunica stop saw a breakthrough performance by Jordan Morgan, a feared online player who had also done well in several live events but until this event had fallen short of securing his first major live win. Morgan's victory here was worth $213,288. Terry Hawkins took home $111,911 in runner-up money. Thomas Bihl Wins First-Ever WSOP-Europe Event — In a bit of a tribute to the $50,000 H.O.R.S.E. event at the WSOP which has quickly become a favorite of top pros, the brand new World Series of Poker Europe launched with a &pound;2,500 H.O.R.S.E. event that drew an impressive 105-player field. The eight players who made the final (Jennifer Harman, Gary Jones, Joe Beevers, Kirk Morrison, Thomas Bihl, Yuval Bronshtein, Alex Kravchenko and Chris Ferguson) had a combined nine WSOP bracelets among them, and the tenth would go to one of the few here without a previous bracelet to his credit, Thomas Bihl. Bihl took the first-ever WSOP event in grand fashion, finishing off Harman and Morrison, his last two challengers, for the &pound;70,875 victory. Alioto Claims Bracelet in WSOP-Europe Omaha — Event #2 at the brand new World Series of Poker Europe was &pound;5,000 Pot-Limit Omaha, a game which despite its American roots is even more popular on the other side of the Atlantic. Italian Dario Alioto triumphed in this event over a strong final table that included Andy Bloch and PokerNews' own Tony 'G' Guoga, who finished in third after a see-saw battle. Alioto eventually claimed gold and &pound;234,390 by finishing off Istvan Novak, who pocketed &pound;137,280 by finishing second. 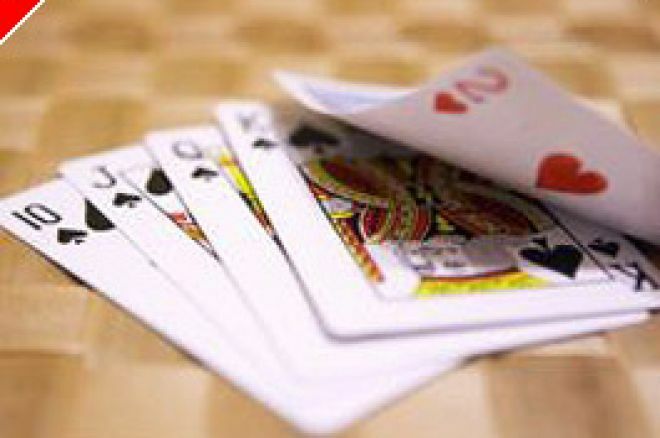 North Carolina Poker Raid Snags Gracz, Bell — Poker raids take place all the time, it seems, with busts of illicit games --- or robberies of same --- occuring on weekly basis. One of the most noteworthy raids of 2007 took place in September at a semi-private North Carolina club. The raid's details were unexceptional, but it was noteworthy in that at least two well-known pro players were involed. Maciek 'Michael' Gracz, winner of the PartyPoker Million IV and a WSOP bracelet, was arrested as part of the raid, as was Chris Bell, a protégé of Gracz's with three WSOP or WPT final tables to his credit. Both faced gambling charges connected with the raid. Raymer Takes WCOOP Event #6 — Every event in PokerStars' World Championship of Online Poker drew massive fields and huge prizes, but Event #6, $320 Pot-Limit Omaha was special in that it was taken down by 2004 WSOP Main Event champion Greg 'FossilMan' Raymer. Raymer, who won his WSOP chmapionship after winning his seat on the site and who has been one of the preeminent Team PokerStars members ever since, won his first WCOOP title here, collecting $168,362.40 for the victory. Ziv Bachar Wins in Seoul — South Korea's first-ever major poker event saw its winner come all the way from Israel to take the title. Ziv Bachar, a young Tel Aviv native, found riches in Seoul, South Korea, at the second-ever stop of the PokerStars.net Asia Pacific Poker Tour. Bachar all but sealed the title after winning a huge all-in showdown against eventual third-place finisher Sid Kim, who was the leader at the time, then finished off Kim and runner-up Josef Berec to complete his run to victory. Bachar collected $139,872 for the win.